“Calaveras De Los Héroes” is an ongoing body of work that began in Fall 2008. It is designed to honor individuals who have influenced me, as well as society in any way, shape, or form. They are all revolutionaries in their own right. These “Héroes” have changed the way we view the world whether it be through art, cinema, literature or politics. This series began with “Para Mis Abuelas.” It was made in honor of my grandmothers to commemorate them on Dia de los Muertos. I then took the skull motif and applied it to other very influential people. Like most things, this body of work continues to evolve. In the first print, there is “noise” behind the skull. In “¡Que Viva!” there are rays coming out of it, and after this one, I began creating the characters in sets of threes to further propel the idea of death. 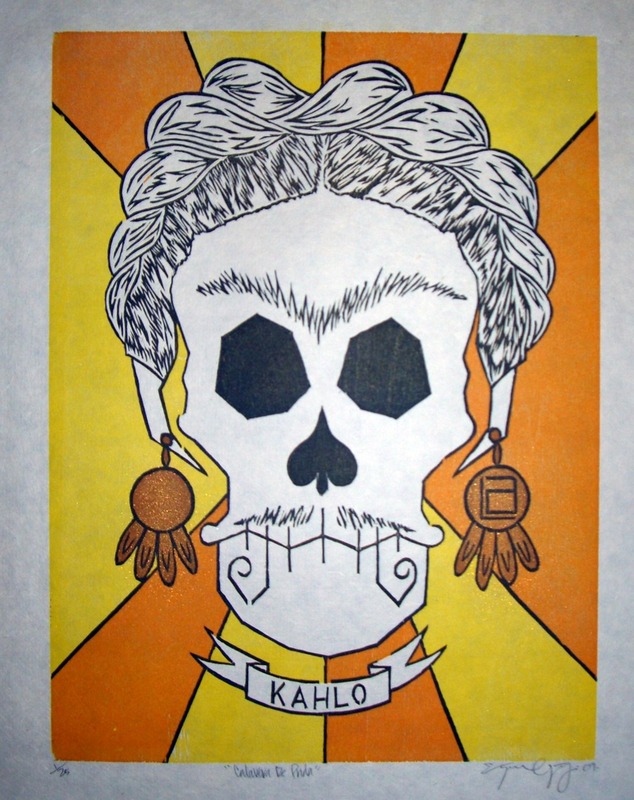 “Calavera De Mahatma” stands alone because unlike the rest, this one print is a lithograph. 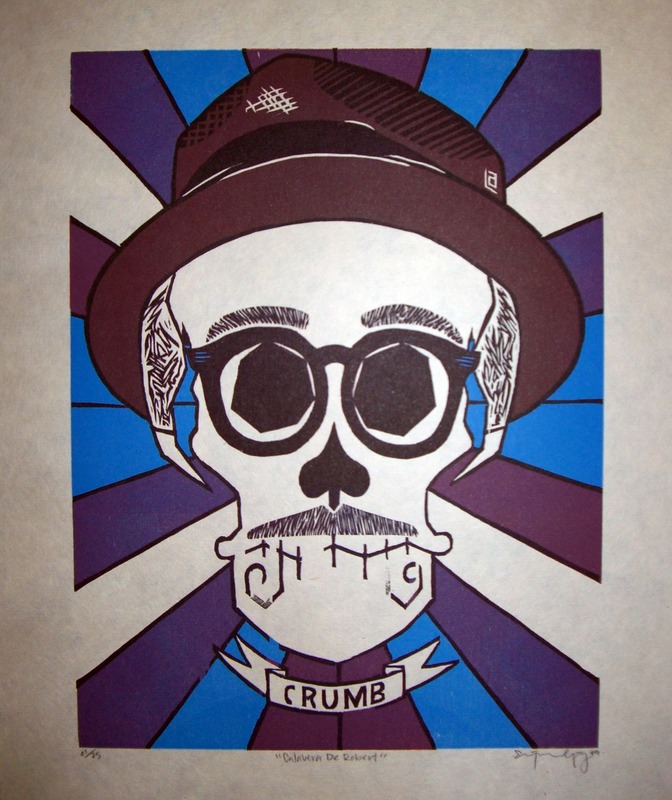 Up until this point, the people depicted have been of those who are no longer amongst us, however in the second set we see Robert Crumb, who is still alive. This allowed for me to expand on my color scheme, as well as in the characters. They no longer have to be dead to be a part of the series. The third set introduces the boarder design in a much more consistent manner. My goal in this body of work is to honor the names and faces of those who have influenced me. I also want this series to bring awareness to these “Héroes.” I want people to go home and research whom these individuals are and what they have done. I want people to recognize why they are seeing them represented on these walls. I want people to realize why they are the Calaveras De Los Héroes.